. يعمل شقة فندقية ذا أولد وولستور على ضمان إقامة مريحة لضيوفه من خلال خدماته الممتازة وحسن ضيافته. يمكن للنزلاء الاستمتاع بالميزات التالية: واي فاي مجاني في جميع الغرف, خدمة غرف 24 ساعة, خدمة التنظيف يوميًا, مجهز لذوي الإحتياجات الخاصة, مكتب استقبال 24 ساعة أثناء إقامتهم في هذا المكان الرائع. استمتع بوسائل الراحة الراقية في الغرف أثناء إقامتك هنا. بعض الغرف تتضمن تلفزيون بشاشة مسطحة, حوض استحمام جاكوزي, سياسة التدخين - غرف لغير المدخنين متاحة, مكيف هواء, مكتب لمساعدتك على استعادة طاقتك بعد يوم طويل. يمكنك الاستمتاع بالأجواء المريحة التي تقدمها مركز للياقة البدنية طوال النهار. إن شقة فندقية ذا أولد وولستور هو خيار ذكي بالنسبة للمسافرين، فهو يوفر إقامة هادئة ومناسبة للاسترخاء. سيكون مطلوبًا عند الوصول إذن مسبق لبطاقة الائتمان السارية الخاصة بالنزيل وبطاقة الهوية الحالية الذي يحمل صورته. تتوفر خدمة صف السيارات لقاء رسم إضافي بقيمة 10 دولار أسترالي للمكان في الليلة، وتخضع لشرط التوافر. لضمان وجود مكان لصف السيارة، يُرجى الحجز وقت قيامك بحجز مكان الإقامة. Located near the harbor front, where most of the great eateries are, it had been wonderful staying over at the Old Woolstore. We booked an apartment with en suite washer, dryer and a small kitchenette, which was perfect for us. Room was cozy and quiet, and there’s a simple buffet breakfast provided in the package we chose. Room was clean and good. Paid on-site parking is available as well. Overall a good place to stay if one plans to visit Hobart! 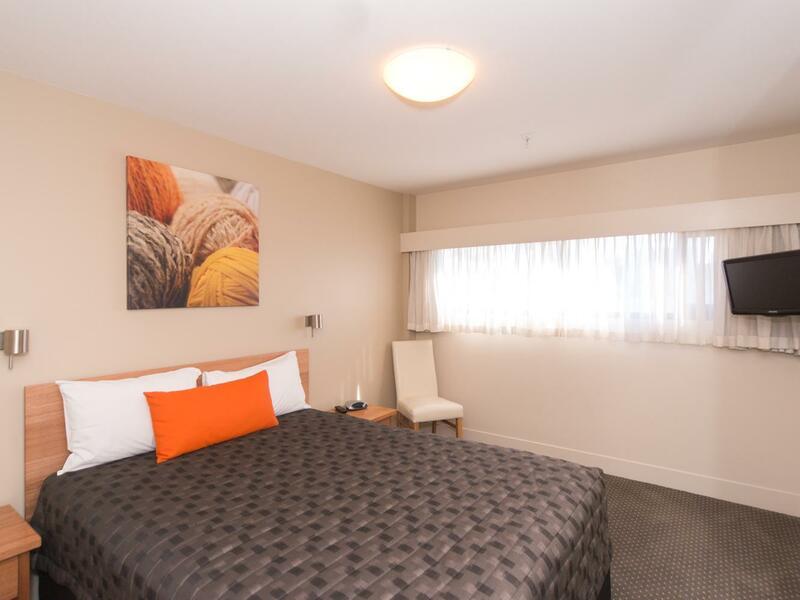 This hotel is so convenient for everything a great selection of restaurants and shopping all in a very walkable time, also it has secure parking for a very reasonable price, It has a lot of historical artefacts dotted around regarding the wool industry. I will definitely book this hotel when I come back next time and will definitely recommend it to my friends. The staff are professional, clean room and toilet, location great, room is big, toilet has bath-tub and shower ... great trip. The pictures don't do justice to the spaciousness of the rooms here. we were traveling with our daughter and her son, so we had two separate rooms. Both were quite large, with more than enough space to lounge about and not worry about where our luggage was from day to day. The location is great, accommodations are very nice, and the staff is excellent. The only thing missing is a pool on site, but one is available at no cost about 10 minutes away. If you have a car, make sure to reserve a space since parking is limited. 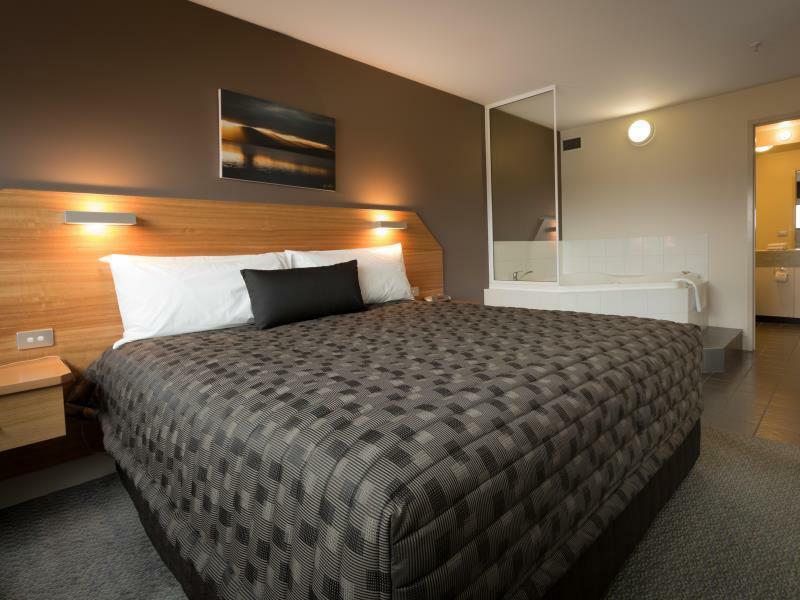 We recently stayed at The Old Woolstore Apartment Hotel and definitely recommend it! Very clean and spacious rooms with very comfortable bedding. Staff were very friendly at check-in and check-out. Building is very unique and historic yet modern. With the exception of dodgy WiFi (not always connecting - room location may have had something to do with that...) great place to stay. Especially over Christmas / New Year: close to the harbour area where all the action is. Best sized room of our Tassie stay. Conveniently located with big rooms and comfortable beds. Recommend. We found this place to be very convenient, very comfortable and well equipped. We were a group of 4 and not family. I rang before booking to ensure the layout was suitable and that 1 couple and 2 singles had their privacy. I was assured all was ok. We booked a two bedroom apartment but arrived to find two doubles, two toilets and only one of the bedrooms had an ensuite and there was no apartment bathroom. that meant anyone needing the bathroom had to access the ensuite via another's bedroom. NOT SUITABLE. Back to the reception and here we got a pleasant surprise from the young receptionist on duty. Polite, courteous and fixed our issues by providing us with about a 95% result. One double suite and one twin suite, separate actual rooms. Not what we wanted but very ok. 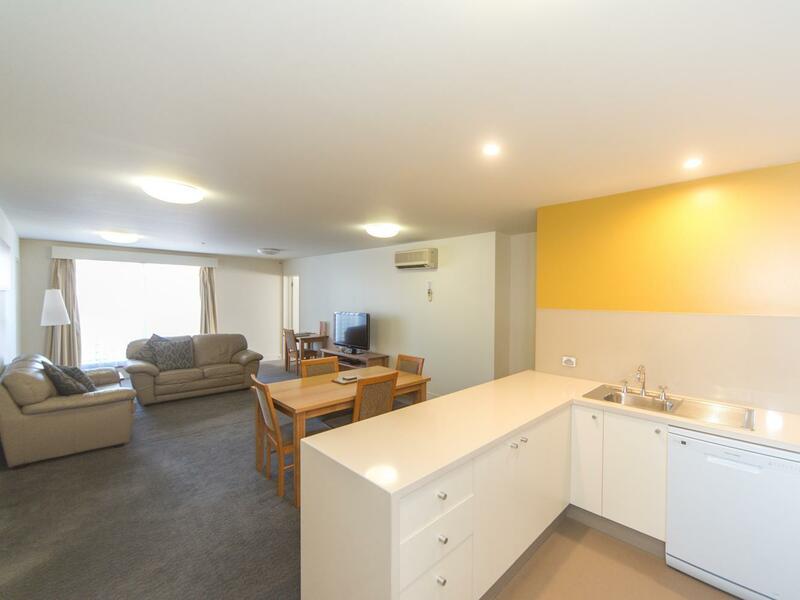 This apartment hotel is very modern, clean and very central to where we wanted to be. All they need to do is understand, accept and fix their marketing that a "Bathroom" is totally different to an "Ensuite". Might be ok for a family, but not for individuals travelling together. We got free upgrade to one bedroom apartment and stayed one night in Hobart. Location is good. Just few minutes walk to the dock and there are a lot of restaurants. Room equipped with all facilities like my home. Very spacious indeed. Free car park is available. Living in this historical building is a great experience and we enjoy to stay in this hotel very much. 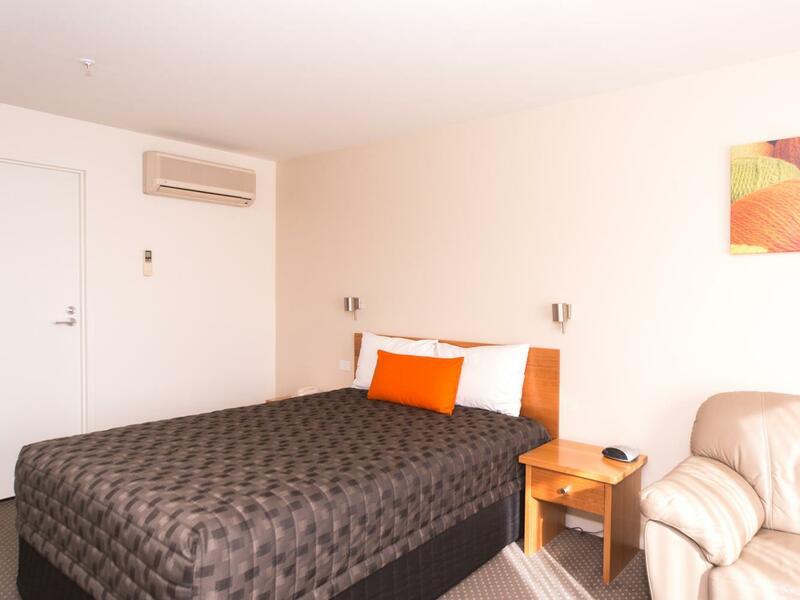 Friendly reception staff let you have good direction, nice and clean room with fully equipped kitchen, just a 5mins walk to Hobart Harbourfront and nearby supermarket, also free parking is appreciated. 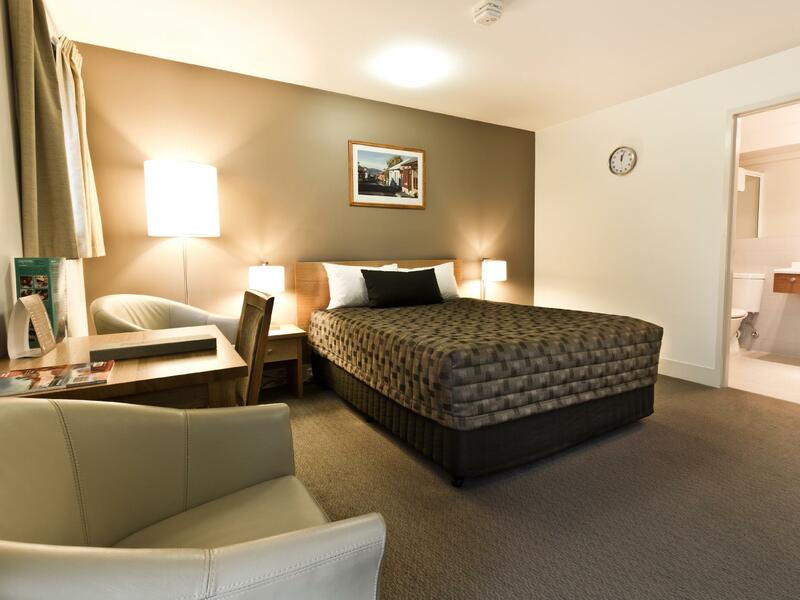 The hotel rooms are in a new tower built behind the old wool store buildings so are modern and spacious. It's is close to everything in Hobart town so could walk to shops, docks etc. free on site parking and kitchenette facilities in the room were nice. Hotel is excellent value for money. Only criticism is that our room opened out onto Macquarie street which was a major road so there was traffic all night and especially at peak hours meaning we had to keep the windows closed and us the a/c to sleep. Rooms at the back wouldn't have this problem so ask for an odd rather than an even numbered room! If you like keeping windows open! First hotel we stayed in Tasmania & we loved it. The room was spacious, with a big comfortable bed. Kitchenette had the necessary basic equipment like microwave oven & toaster. Toilet was spacious & warm, with free washer & dryer. Free wifi in room too. This is a nice old building that caters for a wide range of travellers. Certainly not ideal for a romantic weekend as this place has such a wide range of travellers from families, sports people, retired folk, and tradespeople. The rooms had a stale feel to them, bathrooms were used and didn't have that fresh feel about them, nor did the carpet in the rooms. I stayed in both the old and new buildings. Found management to be just borderline acceptable. I think the name of this place does well for it for first time people looking to book a place in Hobart. 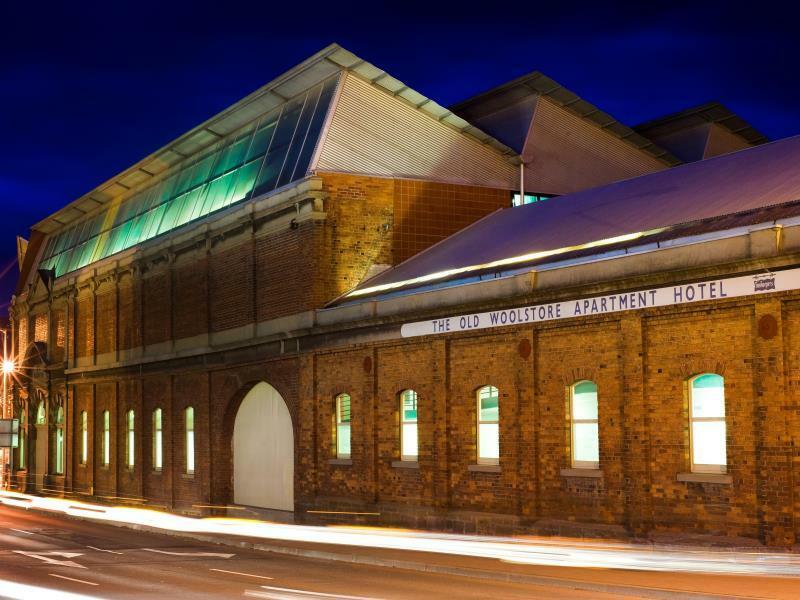 We had a recommendation to book the The Old WoolStore for our recent trip to Hobart. They were on the money, it was beautiful old building restored with all the mod cons you could need. We walked everywhere and found it easy to get to all the tourist spots from the hotel. We will be back. Room is comfortable and will stay again next time. We enjoy to stay here, room is clean and comfortable.